Add a stampette to your Facebook or Twitter profile and show your support! 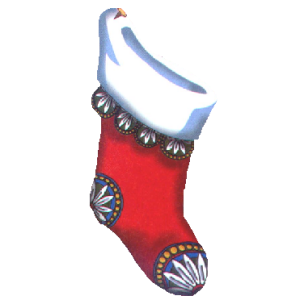 Red Christmas Stocking. Merry Christmas and a Happy New Year from stampettes. Add a Christmas stamp to your Facebook or Twitter profile image and celebrate the Holidays in style. Choose from a range of festive designs for your profile image from holly wreathes and Santa to snow flakes and nativity scenes. Use our upload form to select the image you wish to stamp. 'Right Click' on your image and save to your PC.